Vonda K. Vandaveer is admitted to practice law in California and Washington, DC. Her practice is based in the Washington, DC area, where she represents clients in their international business transactions, U.S. government contracting efforts, and immigration matters. While living in Tunisia and Brussels for the last six years, she has worked virtually with her law office in the United States. Prior to opening her own practice, Ms. Vandaveer worked at law offices in Atlanta, GA and Kuwait, City, Kuwait. In addition to private practice, she has worked at the U.S. Embassy in Kabul, Afghanistan on rule of law and capacity building in the justice sector and at the U.S. Embassy in Sarajevo, Bosnia-Herzegovina in the consular section. 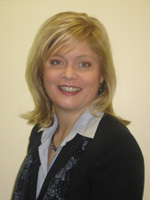 She is a member of the American Immigration Lawyers Association (AILA) and American Bar Association, has served as Vice-Chair of the ABA’s Humanitarian Law Committee of the Section of International Law, and is published in the ABA’s publications Middle East Commercial Law Developments and International Lawyer. She also has received professional training in consular processing at the U.S. State Department’s Foreign Service Institute and has performed consular services at the U.S. Embassy in Sarajevo, Bosnia-Herzegovina. Vonda is teaching three courses. Click on a tab below to view the syllabus for each course. What is an international law practice? What practice areas are suitable for international law practice or require an understanding of international/foreign law issues? How to compete with big US law firms; Who needs your services? Unique issues related to running an international law practice. This course covers the basic issues to consider when building a law practice based on the need or desire to move frequently, whether from city to city, state to state or country to country. If you have an interest in building a portable law practice that takes you from country to country, you will also want to view our sister course, How to Build an International Law Practice, which discusses many of the same issues, but within the international context. What practice areas are suitable for mobile/virtual law practice. Logistically, how to set up and run a law practice while on the move. Where do you get clients?